It is possible that the universe we live in is holographic, and Aaron Chou wants to be the one to find out. 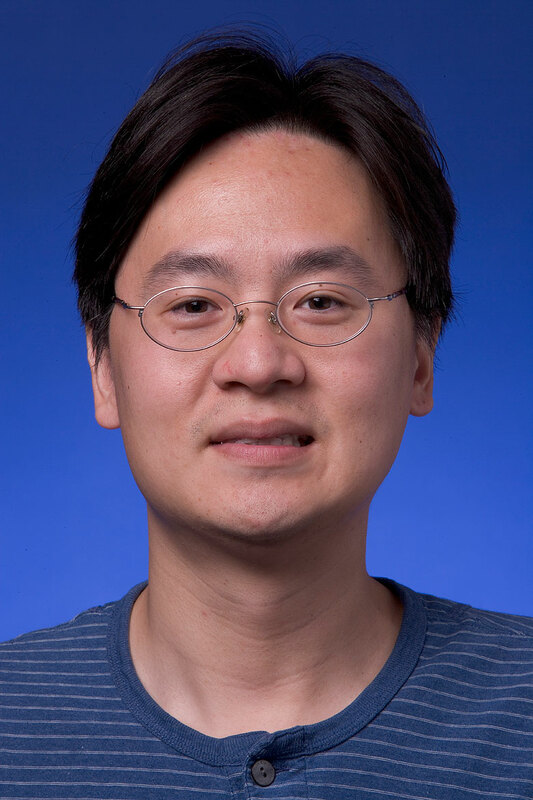 Chou is a recipient of the DOE Early Career Research Award for his research proposal, titled, "Search for Holographic Noise from the Planck Scale." Chou will be setting out to discover if the universe is truly 3D as it seems to the naked eye, or if it is actually 2D with the appearance of being 3D, much like a hologram. To do this, Chou and his collaborators will attempt to search for holographic noise, or evidence that the universe is a hologram, on a size scale smaller than has ever been studied before. Their approach is analogous to watching television: the image you see from your couch appears to be smooth, continuous and 3-dimensional, but if you put your face up close to the screen you'll find the image is actually made up of thousands of individual pixels on a flat surface. To take a close-up look at matter, Chou will use a holometer, which is composed of two laser interferometers, devices that are widely used in various fields of science to make precise measurements. By taking numerous measurements of an object (in this case, a beam splitter positioned in the path of a laser beam), he will be able to determine if the picture he sees shows signs of being holographic. "If the universe is truly 3D as it appears, the picture should be clear and crisp," Chou said. "But if the picture is blurry or fuzzy, it could be a sign that we live in a holographic universe." 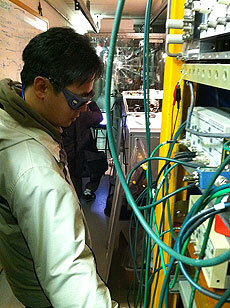 Aaron Chou stands near a holometer in the laser lab where it is being constructed. Credit: Craig Hogan. Chou said when he found out about the DOE Early Career Research Award, his first response was a sigh of relief. "We've been building parts of these instruments using Fermilab R&D funds, and for a while it wasn't clear if funding for the project would continue," Chou said. "There's a lot of new research to be done here, and with the DOE Career Award, there's no longer this cloud of uncertainty regarding if we'll have the resources we need." While his work is not exactly mainstream, Chou believes it could have a profound impact on our understanding of the universe. "There are different attitudes people have about search and discovery," Chou said. "I like to work on ideas that could change the way people think about the world if you actually discover something." For Chou, there's no better place to carry out this work than at Fermilab. "There is an immense infrastructure and a pool of knowledge that makes experiments like this very easy to conduct," he said. "Fermilab has a great group of scientists, engineers and technicians who have been enthusiastic about this work and will continue to contribute to the success of this project."